eGain share their top tips for providing customer service over messaging apps like WhatsApp and Facebook. The stats are staggering – 1.3 billion users on Facebook Messenger, which continues to add 100M users every 5-6 months. According to CTIA, 1.5 trillion text messages were sent in 2017 alone. By 2020, 50 million consumers will opt in to receive business SMS! 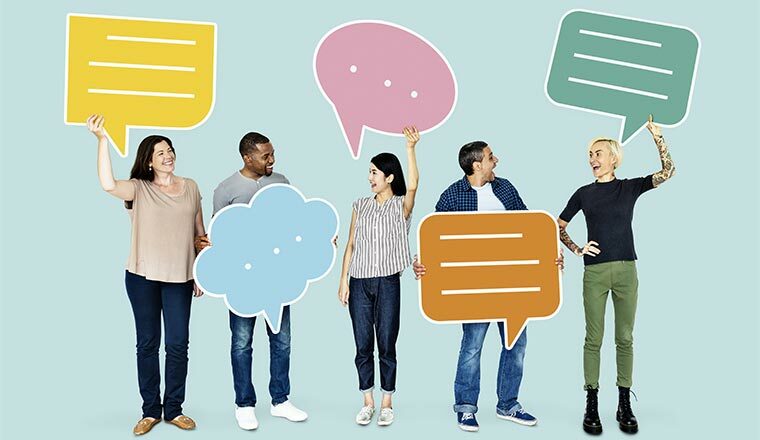 While consumer messaging is mainstream in C2C (consumer-to-consumer) communications, the medium is also becoming popular for B2C and B2B interactions, including for customer service. However, customer service messaging is a relatively new domain where the dos and don’ts for its success are just starting to emerge. Here are some best practices, based on our experience with blue-chip clients, in providing digital customer service at scale. First, see if your current and future customers use messaging for customer service. You can conduct your own survey or look at third-party research that already exists. Millennials and Gen Z use messaging far more than older consumers. If your industry is competitive, you might have to implement it just to “keep up with the Joneses”. How do you scale up customer service messaging when the tsunami hits? One best practice would be to design and implement a framework to triage the queries by scoring them on factors such as the value of the customer (which should be easily available since the customer is already identified through the smartphone number) and the criticality of the query. Based on these scores, the business can determine the cadence of the interaction and the mode of service, whether through automated or human handling, or a blend of the two. A “human-heavy” mode would be more suitable for queries with higher scores and an automation-heavy mode would be more appropriate for lower-score queries. The business should make sure to match or exceed the cadence of the customer for high-score queries. 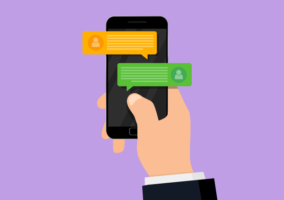 You can handle messaging queries of low to medium complexity with a virtual assistant, but make sure that customers can escalate with full context to a human-assisted messaging service. This will require a unified omnichannel customer engagement platform. It may also be good practice to make it obvious to the consumer how you are handling the conversation, whether through a chatbot or a human, to set the right expectations. Conversations are even more incremental and fragmented in the messaging world. Moreover, the customer might switch to other messaging and non-messaging channels while resolving a problem. It is therefore critical for agents to get a 360-degree view of the conversations across all touchpoints for a smooth customer experience. The last thing the customer or the agents want is yet another disconnected silo. In addition, proactive messaging notifications need to be unified into the same infrastructure as “reactive” customer service messaging. Again, look for a solution provider that offers a unified omnichannel messaging and customer engagement platform. Just like any other channel, make sure you have a knowledge base and a guidance technology like AI reasoning behind your chatbot and human agents when you handle messages. Agent knowledgeability is the biggest CX hurdle that was mentioned by customers in a Forrester Consulting survey of 5000 consumers. Each messaging channel has a unique set of features – for example, pick lists, time picker controls, and rich links for Apple Business Chat, and rich controls, such as quick replies in Facebook Messenger. Your customer engagement system should automatically detect the channel and customise responses for these touchpoints. How do you measure metrics such as First-Contact Resolution (FCR), Time-to-Resolution (TTR), and Average Handle Time (AHT) in a continuous conversation stream? How do you assign workloads to agents? How do you maintain continuity of conversation across agents? What would be the Goldilocks cadence that keeps the customer happy while optimising cost in the case of human-assisted messaging? Messaging can be used to reinforce your brand. For example, if you front your automated responses with a chatbot, you could align its avatar with your brand. You could also match the tone and language of your content and the speed of your responses to the brand personality. As an example, a retail brand targeted at Millennials and Gen Z might use a more informal language with emojis and faster messaging cadence relative to a health insurance brand that is targeted at older age groups. Does the vendor offer a digital-first, unified omnichannel suite? Can they scale to support growth? Do they offer a solution with proven best-practice expertise or do they just sell technology? Do they offer a safe, risk-free way to try out the solution in a no-charge production pilot? “Build and they will come.” This doesn’t work for anything else, and it won’t for your messaging service. Publicise the service, including on other interaction channels. 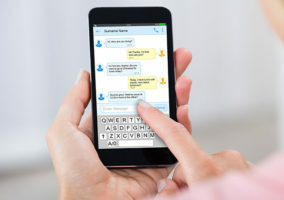 Since customer service messaging can often be used to deflect calls to self-service (e.g., an SMS message with a contextual link to self-service can be sent to a consumer on hold at the IVR, or a messaging conversation can be driven by a chatbot), the cost per interaction will be lower than that of a phone call, a win-win for you and the customer. To find out more about eGain, visit their website.